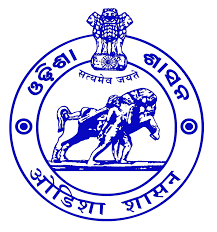 Bhubaneswar: The State Government on Monday carried out a major reshuffle in the Odisha Administrative Service (OAS) cadre and transferred as many as fifteen officers. A General Administration Department notification said Biswajit Biswal was appointed as the Shree Jagannath Temple Administration (SJTA) Niti Administrator. While Pradip Das was posted as the Additional Secretary of Water Resources Department, Pramod Prusty was appointed as the Deputy Commissioner of Bhubaneswar Municipal Corporation (BMC). Similarly, Sukant Tripathy was appointed as Sambalpur DRDA Project Director, while Jyoti Shankar Mohapatra posted as Deputy Director of Recruitment. Similarly, the State government appointed Narayan Murmu as Additional Collector of Koraput. Tarinisen Nayak was appointed General Manager of Odisha Forest Development Corporation (OFDC). Similarly, the State Government posted Rabindar Nath Mishra as Deputy Chairman of Cuttack Development Authority (CDA). Biswa Mohan Ray was appointed as Managing Director of the Small Industries Department.